Jared Thomas Lambert, age 23 returned home to his Heavenly Father and Savior Jesus Christ, who were waiting for him with outstretched arms, on July 6th, 2018. Jared will be remembered as an amazing husband, son, brother, uncle, nephew, cousin and friend. He was born to Karson and Lenna (Smock) Lambert on August 2nd,1994. Jared is a light in their lives, and they feel it is a privilege to be his parents. "Jetman" brought joy to everyone who knew him. He lived in the moment and found happiness in every experience of his incredible life. His life was filled with kindness and service to others. Nothing brought greater joy to Jared than the opportunity to serve those he loved. He was known for his strength, both physically and spiritually. He graduated from Grantsville High in 2013 where he excelled in academics and athletics. His favorite sport being football coached by his future father-in-law. 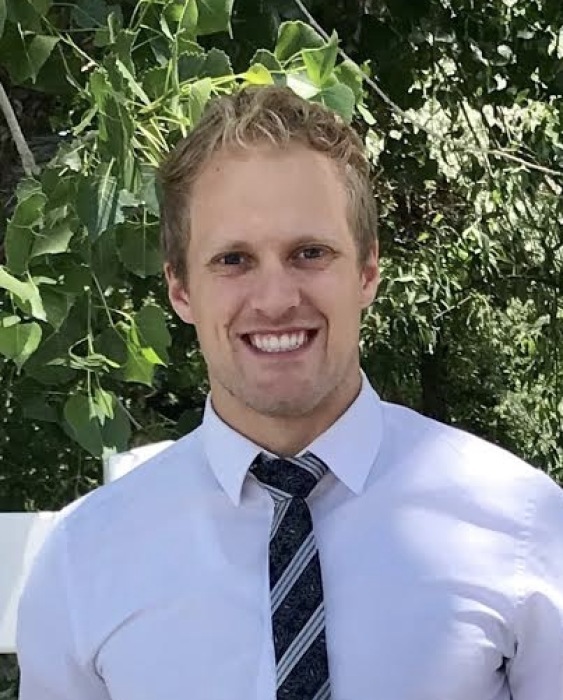 Following graduation, Jared was called to serve a mission for the Church of Jesus Christ of Latter-day Saints in the Italy Milan Mission preaching the gospel in the Italian language. Jared loved being a missionary and upon returning, he often shared his mission experiences with everyone. Jared served in leadership positions and was admired by the missionaries with whom he served. Loving to cook, Jared learned to make many delicious Italian meals, his specialty being pizza. He would happily make his delicious Italian pizza for family and friends. Jared was an Eagle Scout who loved the outdoors and was not afraid to try new things. He liked spear fishing and archery hunting with his brother and hunting elk with his dad. He loved camping with family and friends. Every trip was an adventure that he would remember with fondness and talk about for years to come. One of Jared’s greatest blessings was when he began dating the love of his life, Angel Cloward. He cherished her and gave his whole heart to his precious Angel. He married his best friend in the Salt Lake Temple on October 14, 2017. Their love story may have been brief, but it was made for the eternities. Jared leaves behind his heartbroken bride, Angel, his parents, and a large family of brothers and sisters who adore him, Renn (Karen), Allysen Vera, Isaac (Whitney), Tyson (Laura), and Savanna (Tanner) Elsholz. Nieces and Nephews, Jackie, Bridget, Clara, and Karson Lambert; Lucy, Eli, and Christina Vera who will miss him greatly. His in-laws, Tony and Nicole Cloward, Skyler (Angela), Elder Bronco Cloward, Hillary, and Zoey and his sweet nephew, Jackson Cloward, whom he loved dearly. He also leaves his grandmother, Jeane Lambert, great grandmother, Bernice Beckstead, grandparents, Bryce and Sharon Christensen, Dale and Glenna Cloward and many aunts, uncles, cousins, and friends who will miss our sweet Jared in the days to come. He was greeted by his loving grandparents who proceeded him in death, Leonard and Connie Smock and Ray Lambert. Jared will always be close to our hearts. His spirit will always linger with and watch over us. We look forward to the day when we will all be together as a family in the eternities. We are so grateful for the twenty-three years we have been blessed to have Jared in our lives. Funeral services will be held Wednesday, July 11th at the Grantsville West Stake Center, 115 E Cherry St. A visitation from 10:00 am to 11:30 am with the funeral at 12:00 noon. Interment will follow at the Grantsville City Cemetery.